The Qatar Goodwood Festival, otherwise known as Glorious Goodwood, is one of the most popular Horse Racing festivals of the year behind Cheltenham and Royal Ascot. There are 5 days of racing and plenty of risk-free offers for you all to be getting stuck in to! This year will be great in terms of offers as William Hill are offering a bet boost for every televised race from which you can make around £5 (per race) with the chance of winning a £100 free bet. There's also a risk free bet on the first race everyday from Betway, as well as £20 risk free from Skybet on day 1. They're literally handing out free money! Lots more bookies will be getting involved throughout the week too, and there is likely to be a few offers kicking about in your email inboxes so make sure you're checking your emails daily. Below are the top offers announced so far. I'll be posting updates in the Facebook Group too! Please note there will be plenty more offers being posted throughout the week, and Oddsmonkey is the best place to keep track of them all. If you haven't checked them out yet then you can get a 7 day trial for £1 here. There's just a few promotions that are guaranteed profit at the moment, and from them you can make £20+ Profit. There will also be lots of price boosts throughout the week, as well as a boost on every televised race from William Hill. You can make between £3-£5 from these boosts AND qualify for 2 Clear so it's well worth making sure you have cash in them. The standard ITV racing promotions will also be running throughout the festival. *Lay Soldier's Call with the amount in the "lay stake" box at the bottom under the "trigger bet lay"
*Now Lay Rumble Inthejungle win the amount in the "lay stake" box at the bottom under the "trigger bet lay"
I would highly recommend if you plan to complete these offers and are new to these offers to read Racing Refunds Explained and Saturday ITV Racing. 2 Clear is on all races at Goodwood - however for the first 4 races each day you also get one boost extra! The usual ITV racing refunds are on such as Bet365 4/1 and all of the regular Money back to SP fav offers. There is also William Hill high 5 and 2 clear. *Check out the guide to all of the offers here! Extra Places can be another source of juicy profit when there are big horse racing festivals. 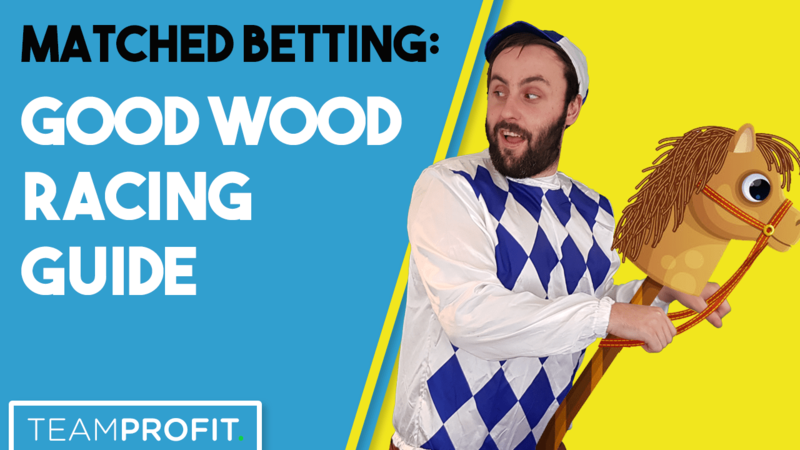 The potential profit is practically unlimited, so attempting these offers can be a great boost to your Matched Betting bank roll. It's basically when a bookmaker will pay out 4 places in a race for example, yet the exchange is only 3; you can make money here if 4th is paid out as both your back and lay bets will win. Last year there were extra place offers on every day, with 2 races per day being exceptionally good in terms of extra places. You can check out our guide on how to complete extra place offers here. 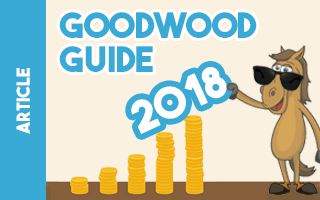 Extra places aren't a guaranteed profit unless you cover the whole field, but if you follow the guide and read the tips put together for you then you should hopefully hit some extra places and potentially make a few hundred £ almost risk-free! OddsMonkey have the Extra Place Matcher which really helps when completing this offer as it saves you so much time. It's similar to the Oddsmatcher however searches for extra place odds only, and show you how much you can make from each one. Extra places can be quite scary at first as you don't want to make a mistake. Make sure you read our guide properly as it will tell you everything you need to know; and if you have any questions then just ask! You'll notice I recommend Oddsmonkey a lot for those moving from 'welcome offers' on to 'existing customer offers'. You can read all about the reasons why in my full Oddsmonkey Review.